Our bodies are made up of billions of individual cells. By the time we are fully grown, the majority of the body’s cells don’t and divide and multiply much. The Body’s cells spend most of the time in a resting state and only divide if they are needed to repair damage. 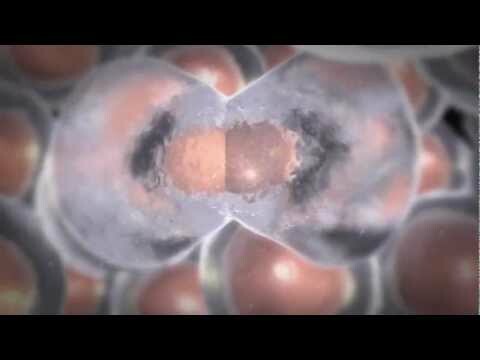 When our cells divide they split into two, identical new cells. So as a result, where there was just 1 cell, there are now 2 which then divide to make 4 and then 8 and so on. With Cancer the cells keep on dividing until there is a mass of cells, this mass then becomes a lump. This lump is referred to as a tumour. To conclude cancer cells divide more times than most normal cells. Chemotherapy starts killing cancer cells by first entering the bloodstream and damaging dividing cells. Cells that are in the process of dividing are more likely to be damaged by chemotherapy. Chemotherapy is able to kill the cell by attaching and damaging the part of the control centre inside each cell that causes the cells to divide, it may also interrupt the chemical procedure involved in cell division. Chemotherapy drugs circulate around the body via the bloodstream and are able to reach cancer cells almost anywhere in the body. This is referred to as systemic treatment. Chemotherapy damages cells as they divide. 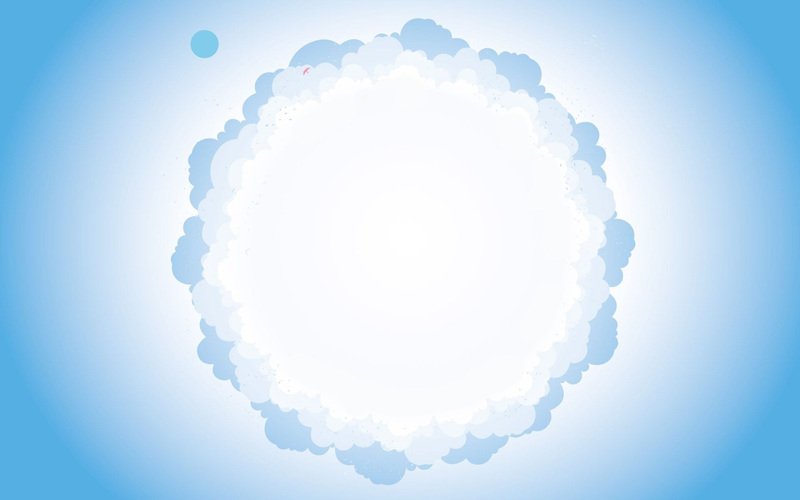 In the centre of each cell is the Nucleus (See diagram). The role of the nucleus is to act as a control centre. It contains chromosomes, which are made up of genes. 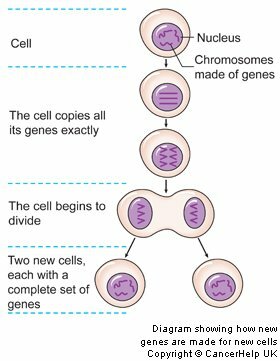 These genes have to be copied exactly each time a cell divides into 2 to make new cells. Chemotherapy is able to damage the genes inside the nucleus of cells. Many drugs damage cells at the point of splitting. Others damage cells while they are making copies of all their genes before they split. Cells that are at rest though, for instance most normal cells are much less likely to be damaged by chemotherapy. It is likely you may have a combination of different chemotherapy drugs that damage cells at different stages during the process of cell division. This combination of chemotherapy drugs increases the chances of killing more cells. However that fact that chemotherapy drugs can kill dividing cells always helps to explain why chemotherapy can cause certain side effects. Chemotherapy affects healthy body tissues too where the cells are always growing and dividing. As a result of these healthy body tissues cells dividing chemotherapy can damage them, but normal cells can repair or replace the healthy cells damaged by chemotherapy. This means the damage to healthy cells doesn’t usually last. Usually most side effects disappear once your chemotherapy treatment is over, and some only occur during the days while you are receiving the drugs e.g. Nausea, sickness and diarrhoea. The Success of Chemotherapy treating cancer? This all depends on what cancer you have, commonly with some types of cancer most people are cured by chemotherapy; with some other types fewer people are completely cured. Though with some cancers, Chemotherapy is unable to cure the cancer on its own, but can be very successful when combined with other treatments. E.g. a Patient with breast or bowel cancer can received chemotherapy after surgery to lower the risk of cancer returning. Provide you with a longer life by controlling the cancer or putting it into remission. Remission – What does it mean? It is the word used by doctors to describe that there are no signs of cancer after treatment. There are two types’ complete remission and partial remission.